The research presents a novel approach to carbon dioxide (CO2) emissions monitoring and access to local air quality data. The approach applies the advanced Internet of things technology to design a mobile telemetry system for CO2 data collection and processing in order to be presented as a value-added application to mobile users. Based on requirements analysis, functional architecture for mobile telemetry system is proposed. The design aspects of mobile telemetry application layer protocol are studied. An approach to formal verification of protocol behavior is suggested. An information model that captures the basic concepts related to CO2 monitoring is proposed. Examples of ubiquitous access to CO2 measurements are described. Carbon dioxide is one of the main greenhouse gases within the troposphere, which absorb some of the heat and trap it near the earth's surface, so that the earth is warmed up. Due to human activities, the amount of carbon dioxide (CO2) released into the atmosphere has been rising extensively during the last 150 years. As a result, it has exceeded the amount sequestered in biomass, the oceans, and other sinks. Apart from being an essential for the human system, CO2 is also known to cause health effects when the concentrations exceed a certain limit. A good strategy for CO2 emissions governance is to selectively apply a regime of CO2 emissions monitoring, particularly in the urban and industrial areas, encouraging engagement and participation by all sectors of the corporate community (Fergus, 2008). The optimal near real-time access to aggregated data enables immediate access to CO2 emissions information on demand. Existing information and communication technologies may be used for monitoring data collection, analysis, presentation and dissemination to all user types (Murray, 2010). The main issues in solving the problem of monitoring the CO2 emissions reduction are related to the restrictions in stationary emissions measurements and the lack of appropriate dissemination of collected information. The impact of urban/industrial CO2 emissions on larger scales cannot be predicted without a relatively accurate and detailed knowledge of their temporal and spatial distributions. Therefore new methods and tools for more flexible and systematic quantification of these emissions have to be developed. Information sharing is critical for the monitoring and management of CO2 emissions. For example, daily reported information about measured CO2 emissions can be used for smart logistics i.e., monitoring and tracking vehicles to improve the efficiency of logistics operations by utilizing vehicles more fully. Ubiquitous access to information about current CO2 measurements can improve the understanding of environmental and health problems as far as the risks to health posed by emissions from vehicles depend upon the number of people who spend time in areas of light and heavy traffic. The volume of traffic in different urban areas is a reflection of the spatio-temporal patterns of individual driver’s travel choice. Thus, it is necessary to provide means for combining data on driver’s or walker’s position and local measurements on greenhouse gases emissions. This study presents a novel approach to CO2 monitoring and information dissemination based on mobile telemetry and ubiquitous access to measurements data. The approach applies the advanced Internet of things (IoT) technology. International Telecommunication Union defines the IoT as a new communication model for connectivity anytime, anyplace and for anything (ITU, 2005). Things are referred as smart objects having identities and virtual personalities using intelligent interfaces to connect and communicate within social, environmental and user contexts (INFSO, 2009). The mobile telemetry uses mobile data for remote information measurement and reporting. The range of applications encompasses from green technologies and security applications to telemedicine. The requirements to mobile telemetry protocols are subject of intensive research studies. Different aspects of telemetry functions and their implementations in mobile agents are discussed (Alenazi et al., 2011; Forthoffer et al., 2011; Chi et al., 2007). Townsend, Abawajy, and Kim (2011) present an approach to monitoring patients by medical sensors by utilizing mobile technologies and Short Message Service (SMS) to transmit data from patient to medico. The SMS is pervasive messaging technology but it does not provide delivery guarantees and standardized delivery receipts. That is why the authors extend SMS with a message validity period, failover options and redundancies. However the proposed solution is not suitable for real-time application, e.g., critical patients because of unpredictable delays introduced by the SMS Center. Main issues in the design of a mobile telemetry protocol concern reliable data transfer and data security. 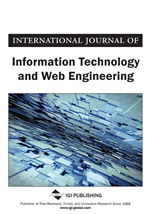 Rohrer, Jabbar, Cetinkaya, and Sterbenz (2010) propose solutions that use Internet Protocol (IP) based platforms exploiting Transmission Communication Protocol (TCP).